Here’s a light article about Leonardo DiCaprio scooping up half a dozen beautiful women to go party with him. 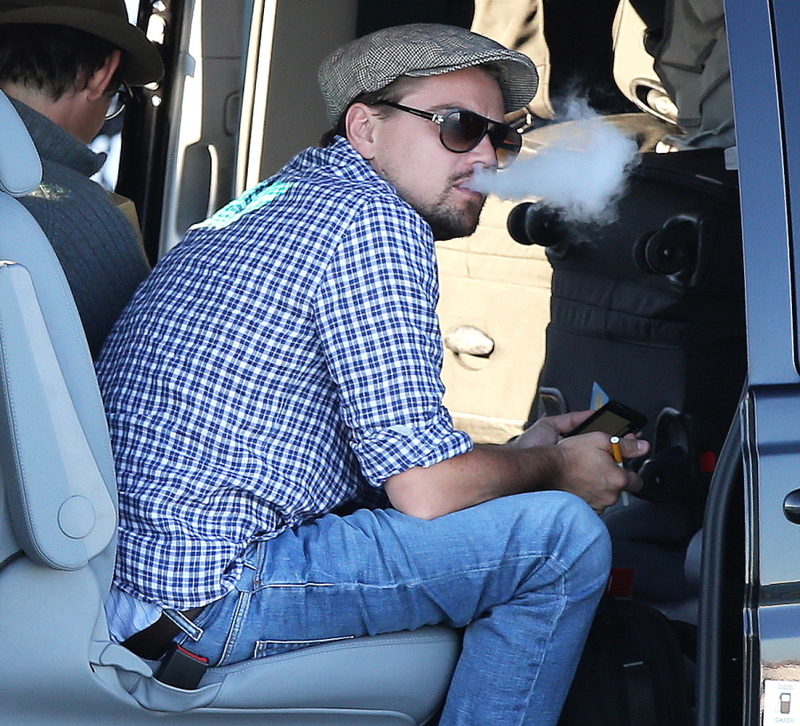 It was also mentioned that he was vaping, which isn’t the first time Mr. DiCaprio got attention for vaping in public. He was one of the many celebrities who were vaping during last year’s Golden Globe Awards. Well the media seems to be loving the Titanic star as of the moment so I’m hoping he won’t get any slack for his vaping. To me, this is a guy who chooses a healthier alternative to his smoking. Another thing I think worth mentioning is Leonardo was also joined by his fellow actor Lukas Haas, who was smoking a cigarette. Most of the women were with DiCaprio during the party which can mean two things, Lukas just doesn’t have enough star power to compete in getting girls, or women now prefer men who vape over men who smoke. Next Next post: Should Vaping Be Taxed The Same Way Cigarettes Are?